While it was rumored that Gase would retain his head coach position, the final nail seemed to come as owner Stephen Ross watched the Dolphins get outplayed by the 6-10 Buffalo Bills. Sources said that Ross left Ralph Wilson stadium embarrassed and not a very happy man, which left many to speculate as to what exactly the owner would do. 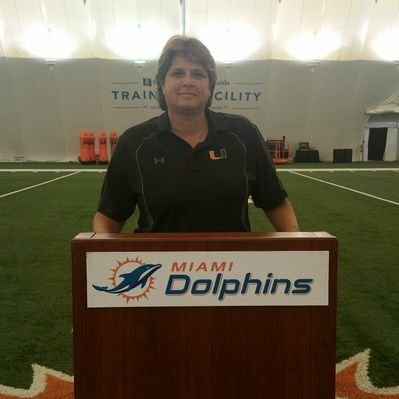 With Gase out, we are left to wonder what is to become of head personnel and General Manager Mike Tannenbaum. As of press time, he still held his position as Dolphins GM. Fans are calling for a total rebuild, an “everyone goes” sort of package. While we all wait to see what happens in Miami’s front office, the next Dolphins head coach search has begun. This next man up will become the 13th head coach of the Miami Dolphins. A number many fans know well, we just have to hope that lucky number 13 can turn this once storied book franchise back to their glory days! Edit: Mike Tannenbaum has been reassigned by the Dolphins. Chris Greer now in charge of football operations. Posted on December 31, 2018 December 31, 2018 by Lisa JohnsonPosted in AFC East, Miami DolphinsTagged Adam Gase, Head Coach Firings, Lisa Johnson, Miami Dolphins, Mike Tannenbaum, NFL Black Monday.